The School of Management-Marketing was set up in 1991, as part of the Romanian-American University. The idea of setting up a faculty with such a profile belonged to Professor Ion Smedescu, PhD., the founder of the Romanian-American University, a prominent professor and specialist in marketing, who knew, from his rich practical experience, the organic link between management and marketing - key domains, inseparable, in all types of organizations, in a competitive economy. We want to train modern economists, with competences in management and marketing, with a wide range of theoretical and practical skills, able to integrate easily and rapidly in the corporations' environment, on different hierarchical levels. The mission of the is in accordance with the overall mission of the Romanian-American University. The School of Management-Marketing has been created as a complimentary alternative for the Romanian higher education environment, being the only school of this kind in the system. The unique character of this school is the direct result of the combination of the management and marketing knowledge, combination justified by the requirements of the market, which requires specialists with a wider range of skills. The management-marketing profile, very complex, combining two distinct majors: management and marketing, better meets the needs of the Romanian economy, at the same time offers its graduates a competitive advantage, through the wide range of theoretical knowledge and practical abilities. These aspects have been confirmed by all graduates of our school, who integrated very quickly on the labor market. 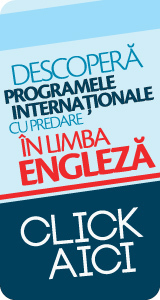 The Romanian-American University and, implicitly the School of Management-Marketing has adapted the educational offer, in order to ensure a quality, student-focused education. The decisive step consists in the adoption of an integrated educational system, on 2 levels: bachelor program (cycle I) and master program (cycle II). Level I - bachelor program - 3 years organized on different majors, according to the general and specialized knowledge and competences. The bachelor program fields are Management and Marketing, each of them as a major, respectively. Level I completes when acquiring the degree in economic studies, certifying the theoretical and practical basis, specific to each major. Level II - master - 2 years will ensure the deep understanding of the information of the Bachelor Studies' Major, or in similar fields of activity, which represents a compulsory basis for PhD. studies. Level II leads to obtaining the master diploma and ensures specialization training, the student acquiring advanced knowledge, analysis and synthesis competences. Students' education is supervised by a valuable teaching staff that uses modern teaching techniques, creating a relationship with students based on partnership, encouraging the initiative, creativity, dialog and involving actively in the training educational process. The material basis of the School of Management-Marketing - made up of lecture rooms, class rooms and labs endowed with modern technology, video-projectors - offers the students the possibility to study in optimum conditions, on western standards. Through the library, the faculty provides its students rich documentary fund, made up of courses and university books, treaties, specialized magazines both in Romanian and foreign languages. It also offers access to on-line documentation and teaching materials on the university website. The has a rich international activity, through the development of a set of programs in accordance with the European curricula for marketing and management, for mobility as well as for research in the educational field. The School of Management-Marketing has collaborated with prestigious American and European universities such as: James Madison University, Alabama University, DeSales University, The High Institute of Administration from Paris, etc. The improvement of the overall educational process, partnerships with European Union and American Universities, as well as collaboration with the business environment are the key factors for success, important for positioning the School of Management-Marketing as a leader on the specialized market, at the same time being able to train and prepare specialists in the field of management and marketing. Another important asset available to the Management-Marketing School is its scientific journal, the "Holistic Marketing Management" journal. The journal is taking the challenge of making Professor Ion Smedescu's dreams come true, struggling to adapt to our world in accelerated motion.